Spills happen all the time, and that’ okay! However, it’s up to you to make sure they don’t turn into lifelong stains in your carpets or furniture. Look to these tips to guide you in removing even the worst stains. Act quickly! The longer the stain is allowed to remain, the more chance it has to set. Test all fabrics and carpets before cleaning. Make sure there isn’t any carpet color bleeding onto your cloth and that, when dry, there is not a visible discoloration in the area you cleaned. 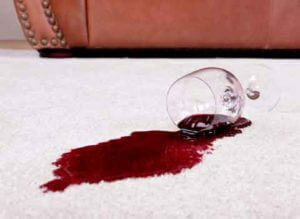 Call Chem-Dry of Lafayette for further help on how to remove the stain. Our helpful staff will let you know what we can do for you. Find us at (765) 423-1166. Have Chem-Dry apply our Powerguard Protector with every cleaning to give you the best chance for removing stains. If you’ve tried and were unsuccessful at removing a stain, don’t give up hope yet! Chem-Dry of Lafayette has gained a reputation for consistently removing the stains and spills that other carpet & upholstery cleaners simply can’t. Spills happen all the time, and that’s okay! 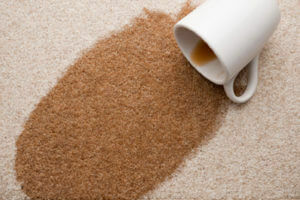 It’s up to you to make sure they done turn into lifelong stains in your carpets or furniture. Look to these tips to guide you in removing even the worst stains. So call us today or schedule an appointment below!